Daisy is not happy. 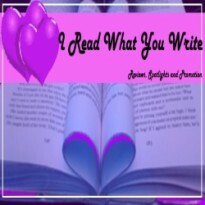 What she wants more than anything it to travel the world and be a writer. Instead, due to her father’s failing health, she must take over the family business, a curio shop for strange, haunted and paranormal items. Not only would she rather be anywhere else, but she just doesn't believe in the supernatural. She must test that disbelief when she comes across an old map of a Utopian paradise that may lead to cure for her father. She and her best friend, Roger, set out to find it. Getting there is just the beginning. For all of its beauty and wonder, they quickly realize it is a trap, a prison where memories are stolen and going home again isn’t an option, even if you remember that there is home to go home to. Though they meet the occasional friendly denizen, and many not so friendly, along the way, their only real ally in this fantastical realm is a wizard from childhood stories. I had heard so many wonderful things about this book from reviewers on Goodreads and was excited to be asked to review it myself. I was not disappointed. This book has all the fun stuff, fairy creatures, wizards, magic and the power of imagination. The curio shop sounds as if it belongs in its own reality tv show. It would be a fun place to work, I think. Utopia is a truly wondrous scary kind of place with many strange creatures. It me think that Alice’s Wonderland meets wizard of OZ. I loved how the relationship between Daisy and Roger grew, in spite of the twist. I also enjoy the message that she doesn’t have to give up her dreams just because life has thrown up a few obstacles. Lifealso doesn’t to be lucky, but it helps. I seriously enjoyed this book. Goodreads Summary: A mysterious letter. An idyllic world. And a peculiar collection of antiques. 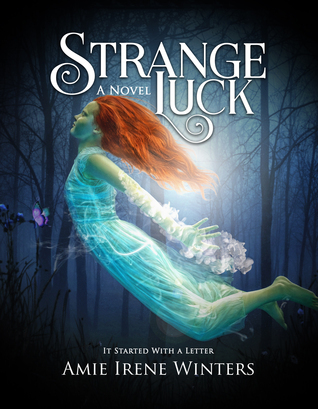 It all waits to be discovered in Strange Luck, an imaginative novel that mixes fantasy and mystery for a thrilling reading experience. Hopeful that her father can be saved from a chronic condition, seventeen-year-old Daisy sets out to find a cure, but accidentally lands in a wicked world called The Nameless. As Daisy explores the moaning caverns and encounters people who refuse to go above ground, it becomes clear that the world’s inhabitants are more than just strange. They may be keeping a dark secret. They may have been lured and trapped here for a reason. And somehow—impossible as it may seem—they may still have a chance to regain what has been taken from them. A daring adventure complimented with vivid imagery, Strange Luck will delight adults, teens, and anyone who can’t resist an imaginative escapade. As an environmental conservationist, Amie has had a lot of unique experiences - from participating in archaeological digs, camping solo in the Rocky Mountains, to designing natural history museum exhibits - but writing fiction has always been her passion. She's the author of the Strange Luck series. Book II in the series, The Nightmare Birds, will be available August 2016. She enjoys anything having to do with chocolate, Bela Lugosi, bad 80's movies, and hiking. Amie currently lives in a small western PA town with her pug Loki and philosopher husband.